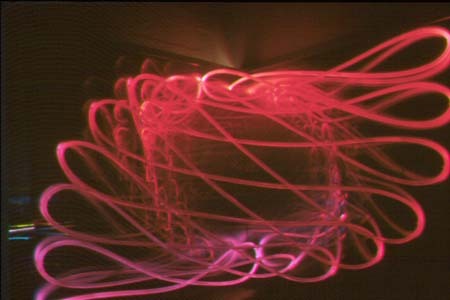 Reflecting holographic diffraction grating, with organic fiber optic with two colorizer / illuminators. Sculpture mounts vertically or horizontally. Kinetic colors change continuously by altering timing of electronic illuminators.